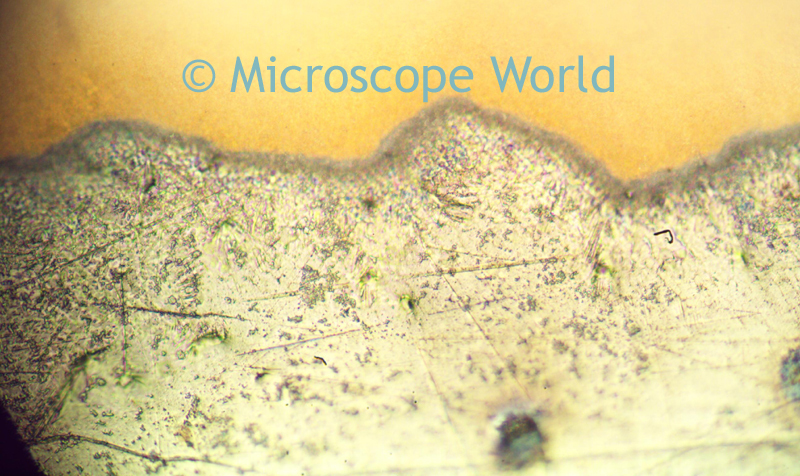 A customer of Microscope World needed to view their saudering work under a microscope. 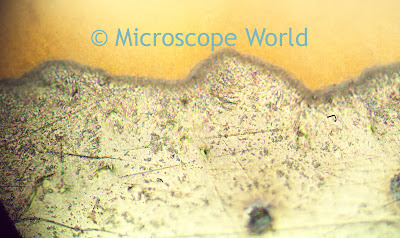 These images were captured using the MC-70 measuring microscope with the DCC5.1P 5 megapixel microscope camera with advanced software for measuring. 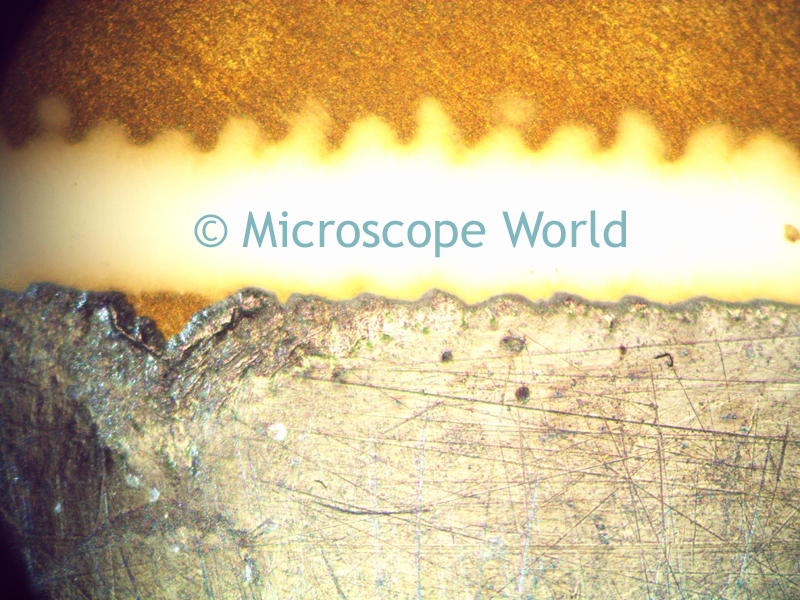 Soldering under the microscope is commonly performed using a stereo microscope because the stereo microscope provides greater working distance and room beneath the microscope to perform the soldering. The images above were captured after the soldering was completed rather than during the process and therefore a measuring microscope was used in order to view more detail.